Play games to enhance your enterprise skills! Next week we will be hosting the first ever ‘Play It’ Lab. Play It Labs are facilitated sessions that aim to help you learn more about enterprise and develop your entrepreneurial skills through playing games. We have a whole stash of games, covering a range of topics from IP to cashflow, to scaling up your start-up. The games are designed to convey transferable real-life concepts in a fun way for those who don’t necessarily have a lot of experience or knowledge around business. Sessions will be fun and relaxed and an ideal opportunity to meet other like-minded, enterprising students from across the University. In you would like to attend a session, please book on via Target Connect. This game is all about coming up with crazy ideas from a set of cards and pitching them to the group as through they were venture capitalist looking to invest. The game will get you thinking on your feet and is a great chance to practise your pitching skills in a safe and fun environment. Developed by student and staff at the University, Black Swan is a board game which will help you to get your head around the basic principles of Intellectual Propery – how it is created, it’s different forms, legal complexities and factors that affect its value and people’s behaviours around it. Entrepreneurs are no strangers to pitching and sharing their ideas and stories; the success of a pitch, however, is often dictated by the memorability of the storytelling. Panels and audiences are made up of living and breathing people (really! ), so connecting with them on a human level, instead of pouring out endless numbers and data tables, can often ensure you are remembered for your story, rather than your spreadsheet. The question is: how do we create an engaging story which encourages our audiences to believe in us and ultimately, invest in our business? Click here to read five recommendations from storytelling experts. Pitching in Silicon Valley: could you do it? Ever wondered what it would be like to pitch and network with Silicon Valley’s most influential venture capitalists? If you think you could be a “unicorn”, read Tad’s piece on the world of pitching and one of Silicon Valley’s most formidable venture capitalists here. 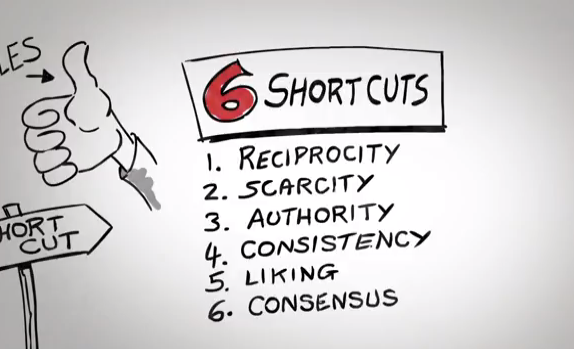 This animated video describes the six universal ‘Principles of Persuasion’. You can apply these ideas in your day to day work working with others, and in your marketing and communications with your customers. The video outlines the six key shortcuts which have been scientifically proven to make you most effective and able to influence, and is based on the research in Dr. Cialdini’s groundbreaking book, ‘Influence’. This video is narrated by Dr. Robert Cialdini and Steve Martin, CMCT. 7 Easy steps to calculate how much your product will cost. Last week I was working with a Lancaster University student Oliver Bradley-Baker who is a first year Art student and a talented film maker. You can see his show reel here. Ollie and I were discussing the challenges of potentially starting up, costing your work and knowing how much to charge, to ensure that you are covering your overheads, your job or material costs and earning the right price for your time and your talents. The articles are really helpful, but to work on your figures and the different iterations of your costing options you need a tool to play with. What I came up with is attached. It has been sanity checked by a few business and numbers people so it should be good to go. Any feedback always welcome – warts and all! Thank you to Patricia van den Akker at the Design Trust for the great on-line article that helped me to put this together. The Design Trust website is well worth signing up to for advice, competitions and other forthcoming opportunities. 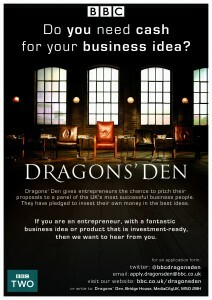 Dare you enter the Dragons’ Den? Do you need cash for your business idea? 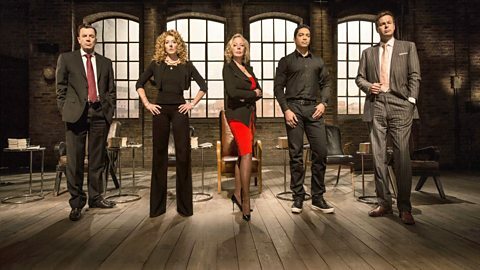 BBC Dragons’ Den gives entrepreneurs the chance to pitch their proposals to a panel of the UK’s most successful business people. They have pledged to invest their own money in the best ideas. 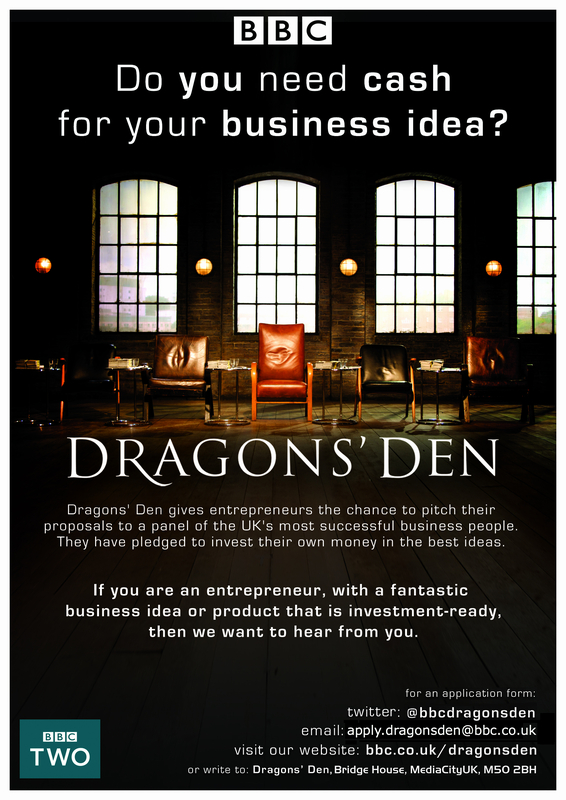 If you are an entrepreneur, with a fantastic business idea or product that is investment ready, then we want to hear from you. Successful local entrepreneurs who have won investment from the Dragons’ in the past are FGH Security and Kirsty Henshaw . If you are interested in submitting an application, please contact the Enterprise Team via enterpriseteam@lancaster.ac.uk to discuss how we might support you, e.g. by critiquing your business idea or plan, or creating pitching practice opportunities. So Now Is Your Chance To Vote! The 60 Second Pitch Awards gave you and your business (or idea) the chance to win up to £1,500 as well as support and advice from Santander. The voting phase of the competition ends on the 31st January after which the winners will be announced.